Over 30 high school teams from across New Brunswick are expected to arrive on our Saint John campus on May 6, 2016 for the 10th annual NB High School Programming Competition. Designed to provide a computer programming challenge for students in grades 9 – 12, contestants test their computer programming skills and problem solving abilities for an opportunity to win prizes. 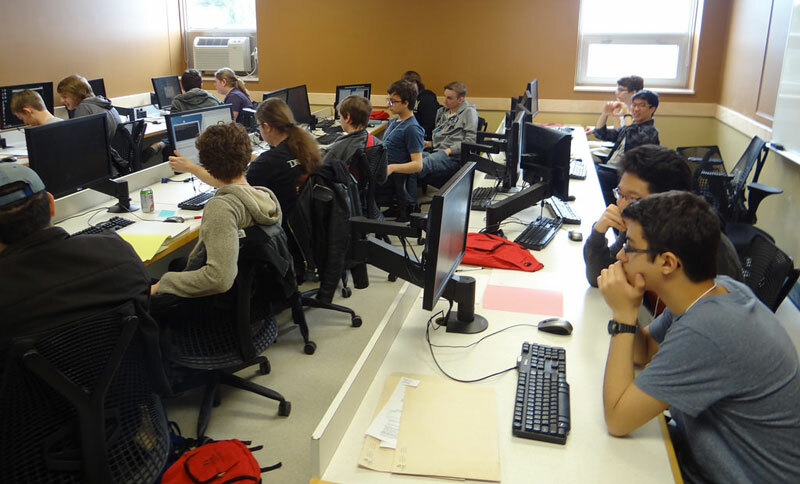 “The competition is designed to encourage teamwork and consists of a number of programming problems of increasing degrees of difficulty for the team to complete,” said Owen Kaser, associate professor of computer science at UNB Saint John.